Practical Action is an INGO which aims to reduce poverty through wider use of appropriate technologies in developing countries. It works in more than 45 countries through its offices in Bangladesh, Bolivia, India, Kenya, Nepal, Peru, Rwanda, Sri Lanka, Sudan and Zimbabwe. 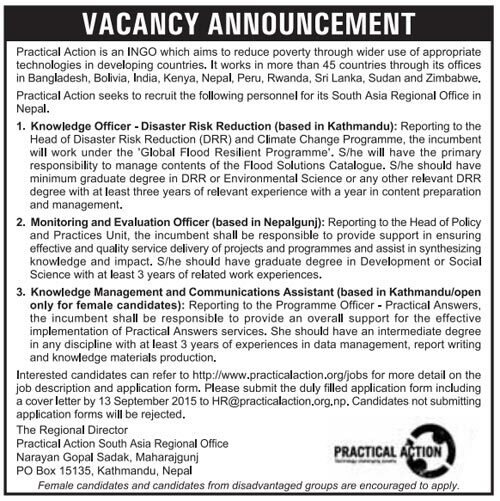 Practical Action seeks to recruit the following personnel for its South Asia Regional Office in Nepal.